India needs action, not rhetoric ! Leadership is all about the import of exemplary achievement of talented people and also learning from their troubles. The dynamics of governance calls for right focussing on "collective consciousness" by choreographing institution-building, upgrading systems and procedures and fine-tuning processes to deal with the hurdles in growth and development. It is the sense of belonging to the people/ work force with desired results for sustainablity in future, enjoying success in case of the corporates and harnessing the potential of the Land and the People for creating a culture and core beliefs rigoursouly focussed on future. The ruling dynamics in the post Nehru era was of populist politics. Governance was weak and leaks could not be controlled. The country was over managed. It was democracy without discussion. Values and beliefs were not reflected by ruling and social mores and then leadership emerged out of frustration leading to terminal impotence. the support team and surprise, as well for the public at large. Derailed leaders may appear to be successful to a point. The society, however, reacts considerably. It shows patience for sometimes but ultimately, if expectations are belied, the leader is passed over. Numerous instances of such derailed leaders are found in the history of corporates and also of the States. People respond to emotional exploitation to an extent only. They lose confidence and are not carried by rhetorics. The experience is melancholic, if the leader starts recalling his achievements through anecdotes. The leader is to keep in mind that relationship of the people with the rulers is transactional. Efforts to inspire with new interpretations of welfare of the people by such leaders does not work. Looking at national governance perspective historically, Jawaharlal Nehru believed that Governance was execution of policies through norms and standards in place, inspiring and enabling people with focus on future. The state is to be responsive to the Visionaries for creating a strong match between cultural and functional experience. Nehru's focus was on talent hunt and talent management for creating multiple competencies for strategic architecture of development. He had to grapple with poverty in the country, negative human development, insignificant industrial and agricultural growth. Atal Bihari Vajpayee of India"---a nation State emphasising on Tolerance, Compassion, and Secularism. He had extreme confidence in the potential of Indians ---a great advantage for discipline and growth in the participatory Democracy. Nehru's was an era of Humanism. He supported the Public Sector in the given situation of Time and Space. It was the time of sophisticated simplicity empowering the individual and the society, creating Institutions, identifying the areas of development through the Planning Commission. He displayed tremendous intellectual honesty. Unfortunately, forces of various ideologies stunted his steel. And he ended tragically as a frustrated idealist like Shakespeare's tragic heroes let down by those he trusted like invincible Caesar. 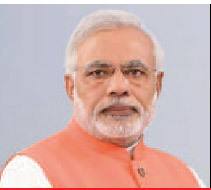 Narendra Modi He, however, created a milieu of aesthetics of performance for the country's distant future. There were instances of corruption, but the society at large was at ease with the systems and the people still felt that the country was in good hands. The ruling dynamics in the post- Nehru era, after the arrival of Indira Gandhi on the national scene, was of populist politics. Governance was weak and leaks could not be controlled. 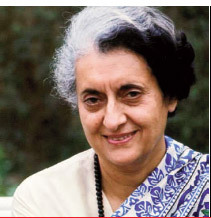 Indira Gandhi The country was overmanaged. It was Democracy without discussion. Values and beliefs were not reflected by ruling and social mores And then leadership emerged out of frustration leading to terminal impotence. 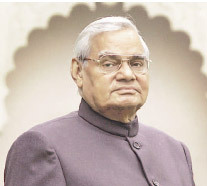 Atal Behari Vajpayee resembled 'a lark in full flight '---- free from conceit and foibles. He recognised the sickness of the State and sickness of the society. 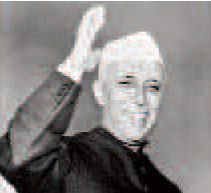 He followed Nehru's ideology of secularism and provided hope and balance between the rights of the citizens and social and economic regulations to transcend what limits growth and development. His government gave the country dignity and belief. 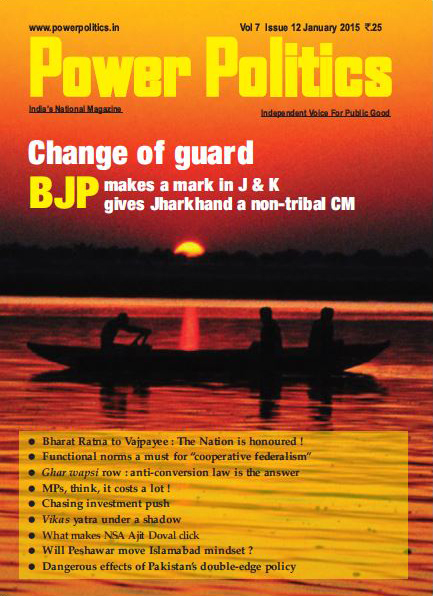 The governance was intentfocussed. It had a different perspective and never ignored the magnitude of development. 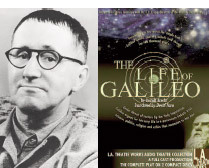 Bertolt Brecht - Life Of Galelio The decade following Vajpayee was, mucked up. There was decay in systems leading to corruption in state and society. Leadership's deficit, erosion of state authority and decline in values were visible at all levels in the Bureaucracy. Governance norms were on the back burner upsetting the implementation process. There was hardly any creative state intervention. People perceived functional and decisiontaking paralysis. The times now are reflective of displacement. We are exposed to a narrative promising impressive economic transformation and holistic approach to development with fair and honest systems and procedures. The ground realities, are to the contrary. The problem with implementation continues. The grammar of governance has changed. It is much to do with rhetorics to impress upon the nation of honourable intentions. "The animal spirit" has not given any jerk so far. We have not witnessed any transformation in the areas of health, education, and social order. majoritarianism is becoming "natural and aggressive" There is assault on sensibilities resulting in polarisation and intolerance. The state concern is bleak. The civil society and political spectrum of all hues have also not nudged the state effectively to control its baneful influence. India, today needs not statements but action in perspective building capabilities and capacities. Collective mediocrity is better than individual brilliance. One is reminded of Brecht's play -- Life Of Galelio - -"A society that needs heroes is unfortunate". We don't need a cult society and cult figures. We need intellectuals who could lead the country and leaders who could strengthen the institutions to improve governance, transcending systemic impair in areas of health, education and social order and making bureaucracy and civil society more responsive. The country still feels that leadership has not failed but derailed only. Derailment and failure are not synonymous." The painful lessons of derailment, it is hoped, would offer clues to the leadership to creat a context in witch good governance is preserved and enhanced. And there is no standing still, to its flaws. We, then, tend to agree with T N Ninan's metaphor," India is the country of the future and will remain so." Let us hope the country gathers critical mass to generate a distinct governance culture. The author is an eminent management consultant. He has been the Managing Director in the Life Insurance Corporation of India.